The League of Nations is asked by Finland to intervene in its conflict with the Soviet Union. The League eventually agrees, but the Soviet Union opposes its involvement and is expelled from the organization on December 14. The Soviet 163rd Division approaches Suomussali village in Eastern Finland. Halted by freezing conditions, its troops are targeted by the Finnish 9th Division, which severs its supply lines. The Soviet 44th Division, sent as a relief force, is blocked by Finnish attacks and both Red Army units attempt a breakout. By the end of the year these divisions have been forced to capitulate, after having 27,500 men killed by enemy action or the freezing temperatures. The Finns achieve similar successes in other engagements during the ‘Winter War’. After advancing to the Mannerheim Line, the Soviet Seventh Army begins a major offensive. To compensate for their lack of armor and artillery, innovative sabotage techniques and improvised explosive devices (‘Molotov Cocktails’, named after the Soviet foreign minister) are used by Finnish ski-troops to destroy enemy tanks. The fighting will continue until February 11, 1940. The British heavy cruiser Exeter, with light cruisers Ajax and Achilles, engage the German pocket battleship Graf Spee at the mouth of the Plate River, off Uruguay. 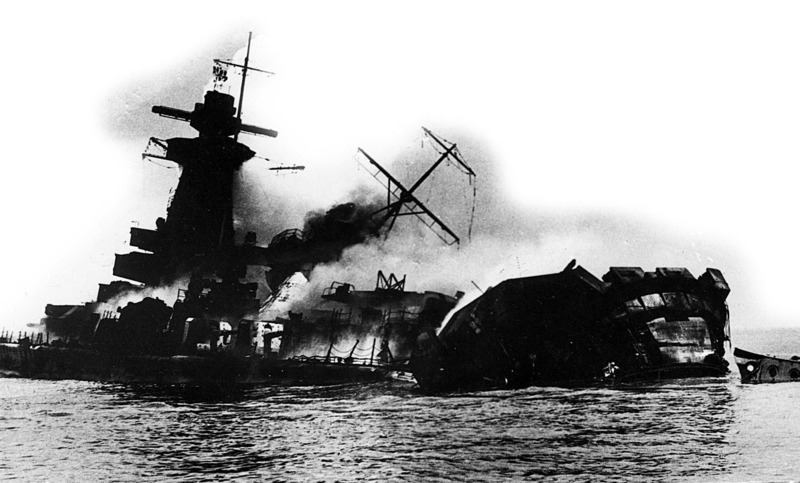 The British vessels sustain severe damage as they maneuver to prevent Graf Spee delivering concentrated fire on a single vessel. Graf Spee, itself damaged, withdraws to neutral Uruguay for repairs. Ajax and Achilles are later joined by the heavy cruiser Cumberland to await Graf Spee’s emergence from Monte-video port. The Graf Spee, however, is scuttled by its crew on the 17th. The first Canadian troops, some 7500 men, arrive in Britain.